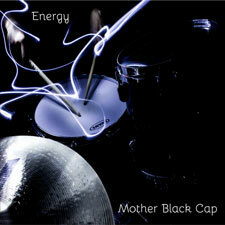 Mother Black Cap are a British progressive rock band based in the Yarmouth-Norwich area. They have been around since early 2005. Their debut album In The Comfort Of Your Own Home was released in 2006 and in 2009 they came up with the successor The English Way (see review). Back then our reviewer didn't find much musical satisfaction in this release. Among other things he wrote that they played a mixture of prog rock rooted in the tradition of Genesis, Pendragon and Grey Lady Down. Well, I think he was right about these observations, but unfortunately I didn't agree with his final judgement, because to me the entire album was quite entertaining. Well, I guess you can't argue about taste, can you? In 2013 their third album Energy appeared recorded by the Iain Jackson (lead vocals), Bob Connell (keyboards, vocals), Martin Nico (guitars, keyboards, vocals), David Newson (bass guitar, vocals) and Neil Holmes (drums). Energy contains the same kind of music as on their previous effort. The musical style on this new CD is in the vein of a band like Pendragon. However, when I listened more carefully the Irish progressive folk rock formation Horslips came to mind, a band that I initially wouldn't have expected at all. They recorded two fantastic albums that will be enjoyed by many prog heads, namely The Book Of Invasions: A Celtic Symphony Music (1976) and The Man Who Built America (1978). Especially the guest musicians who play the fiddle, trumpet and flugelhorn push the music to the musical style of Horslips, who made their appearances on the American stages at the time. In particular tracks like Don't Let The Bastards Grind You Down and Daydreams Of The Big Stage refer to Horslips' music. The combination of neo-prog tunes in the vein of Pendragon and the prog folk of Horslips works out very well. It makes sure that the variety throughout the album is more than sufficient. Our reviewer of The English Way ended with the words: 'if you have trouble falling asleep or if you suffer from insomnia, just put on this record and after a couple of minutes you will be in sleeping heaven...'. Well, that certainly doesn't apply to Energy. Almost fifty minutes long the band kept me awake and focussed and I never heard any dull or boring passage!